The complex skill of driving requires ordered coordination of a person’s physical, visual and cognitive abilities. The ability to drive is a crucial component of an individual’s independence and autonomy, as it allows them to access their community, travel and participate socially at their convenience. While most people can learn to drive and obtain their licence with minimal issues, some people have medical conditions that affect their capacity to drive safely. In the state of NSW, it is the responsibility of the individual to divulge to the RMS any condition or diagnosis that is likely to impact on their driving, although the person’s medical professional (usually treating Doctor) may also declare their condition. Once the RMS is aware of the person’s situation, they are usually mandated to complete an Occupational Therapy driving assessment to decide their fitness to drive. An NDIS participant with an existing driver’s licence who needs an OT driving assessment due to a newly diagnosed medical condition or a worsening of their condition/disability (e.g. the person may need vehicle modifications). An NDIS participant with a learner driver’s licence who needs an OT driving assessment and ongoing driving lessons to learn how to drive. An off-road test where the OT assesses the driver’s general cognitive, physical and visual functioning, looking for any obvious deficits that may influence their driving capability. An on-road test where the person drives for 1 hour with the OT and specialized driving instructor. The assessment focuses solely on how the person’s condition is affecting their driving. The driving instructor has undergone specific training to work with people with medical diagnoses and are not regular driving instructors. The person’s medical condition has not been determined to impinge on their driving ability and they can continue to drive (with any existing endorsements upheld). The person made some errors during the driving test and requires specialized driving lessons to improve their performance and drive to RMS standards. The OT will specify an estimated number of lessons, at the completion of which the person will usually need an OT driving re-assessment. 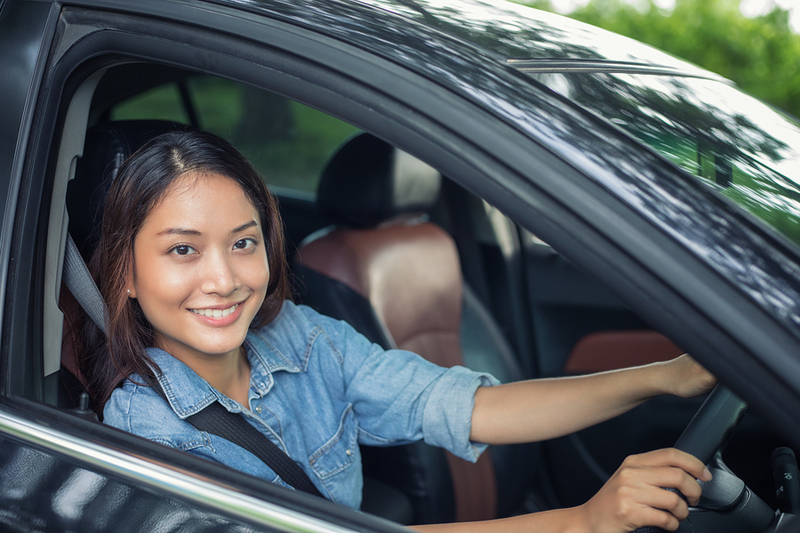 The person may need new vehicle modifications to drive safely and will require specialized driving lessons to become proficient in the use of the modifications. Again, the OT will dictate how many lessons the person is likely to require, and afterwards will conduct a re-assessment to ensure the person can drive safely with the new equipment. The person’s medical condition is affecting their driving performance and driving lessons are deemed to be of no benefit. In this instance, the OT will recommend for the person’s licence to be cancelled. An NDIS participant with the goal to drive can do so under the NDIS, granted they have sufficient funding in the appropriate category. The participant must first obtain his/her learner’s licence. Once they have a valid learner’s licence, the participant can begin to work with an OT and specialized driving instructor to build their driving skills. While the OT driving assessment is essentially the same as described in the previous section for existing drivers (involving the same off-road and on-road testing), learner drivers will partake in several driving lessons (as recommended by the OT) with the driving instructor. The number of lessons needed varies between individuals, and some individuals may be prescribed car modifications as necessary. What is exactly covered by the NDIS will depend on the participant’s plan, which differs with each person. Participants may be required to pay for modifications or some driving lessons privately. Driving lessons are set up within a graded approach framework, where the person is expected to gradually improve their performance driving in mild, moderate and eventually complex/heavy traffic conditions. Initially, as the participant is a novice driver with little or nil prior experience, they usually cannot drive without a specialized driving instructor (i.e. they cannot drive with a family member or friend) and this will be endorsed on their licence. As they progress in their driving lessons, the OT will recommend for the endorsement to be removed. The driving instructor regularly updates the OT on the person’s progress. If at any time the OT and instructor feel that the person has stagnated in their driving or has stopped improving, an OT driving re-assessment may be necessary to determine if further lessons or other changes to the lesson plan are needed. Once the person displays the adequate driving ability and has completed the driving hours set out by the OT, they can attempt the exam for their provisional licence. It is important to note that the OT and driving instructor are fundamentally looking for continued growth in the person’s driving, to ensure that they develop all the necessary skills to drive safely and to RMS standards.